If you spotted that alarmist headline in the news recently we can quite understand why you might feel concerned, because it’s a fact that the majority of adults today have at least one amalgam filling. BUT THE REALITY IS YOU DON’T HAVE TO WORRY BECAUSE THESE TRADITIONAL FILLINGS DO NOT POSE ANY RISK TO YOUR HEALTH! Let’s look at the facts. These fillings, which are made from an amalgam of several different metals, including silver, tin, copper and traces of mercury have been around since the eighteen hundreds and you can be sure that they would not have a history as long as that if they did pose health risks. In fact this type of filling has genuinely stood the test of time and they provide an excellent restorative treatment for tooth cavities. They are hard wearing, long lasting, are moisture resistant, tasteless … and quite simply they do the job that they were intended to do. It’s also a fact that not one scientific paper or article has definitively proved that fillings of this type pose any serious risk to health. Some patients, it is true, do ask us to change their amalgam fillings for the new white ones, but generally this is for the sake of cosmetic appearance … not because of their health fears. If headlines such as the one above have caused you concern, our advice is don’t panic and definitely don’t worry. If you would like more reassurance we would advise you to speak to a dentist and if you do not already have a regular dentist why not Google: dentists, Manchester and ask one of those. Better still, speak to us. At Carisbrook in Manchester, we’re always happy to pass on advice and whilst more and more of the fillings we use these days are white, we do still use plenty of amalgam. And we would do that if there was any risk, however slight, involved for the patient. 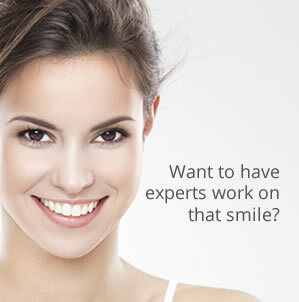 If you would like to learn more about white fillings, just click here.